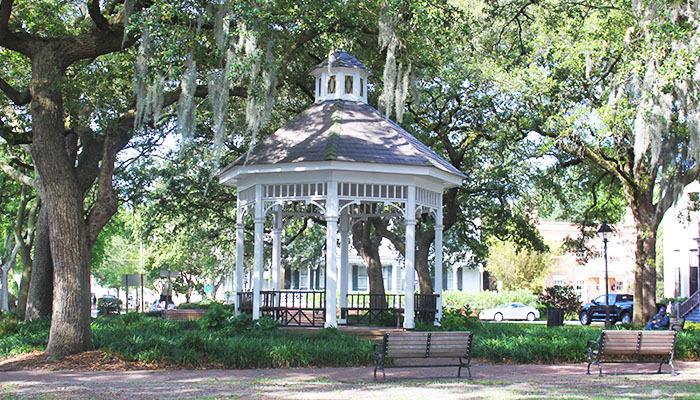 This quiet little square is secretly one of the best, with its Victorian gazebo and azalea flowers. 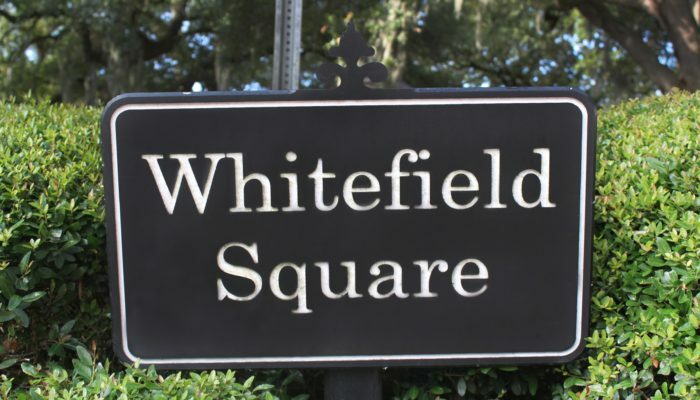 It was one of Savannah’s last squares, designed in 1851, and received its name to honor Reverend George Whitfield, the founder of the oldest orphanage in the United States, the Bethesda Orphanage. 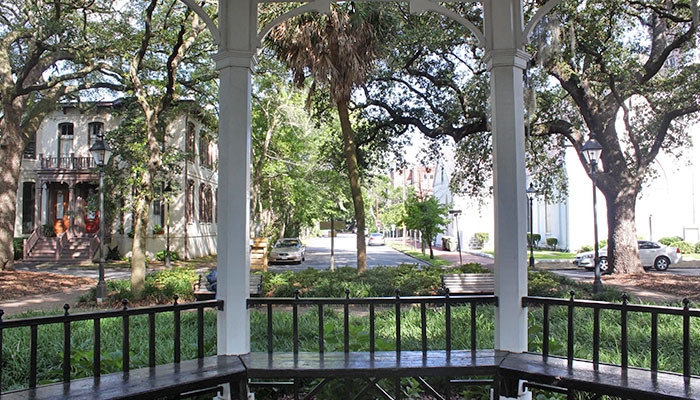 It’s tucked into a neighborhood with beautiful houses and the gothic First Congregational Church, located on the northwest corner, which was built in 1895 for an African-American congregation. 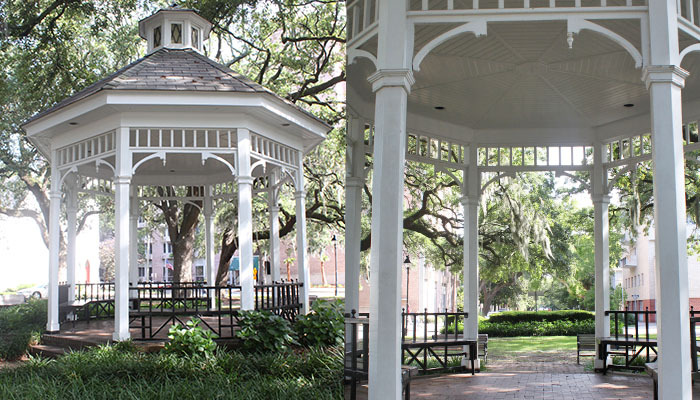 The square used to be a burial ground for African-American slaves, when it was against the law to bury slaves in your backyard. 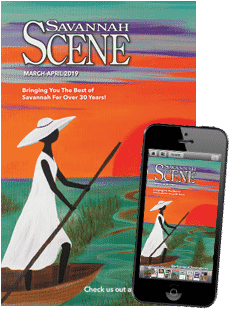 Andrew Bryan, the founder of the First African Baptist Church, and Henry Cunningham, minister of the Second African Baptist Church were both originally buried here.